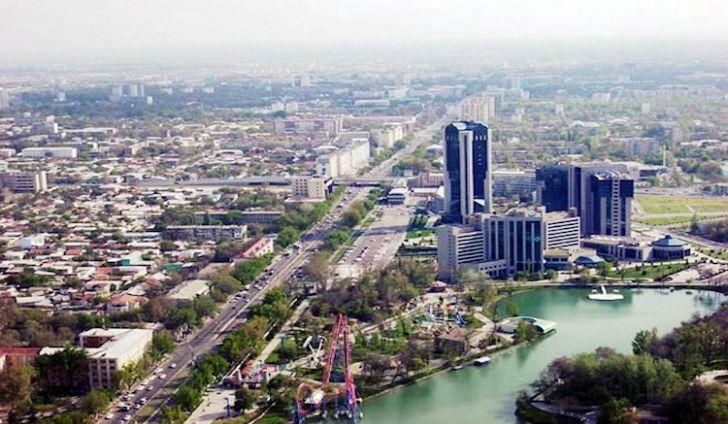 Three different entertainment clusters will be built in the capital of Uzbekistan in the coming years under the Three Cities project, Uzbek media reported. The new clusters were named Ethno City (implemented by Deputy Prime Minister Aziz Abdukhakimov), Cinema City (Deputy Prime Minister Alisher Sultanov) and City of People's Diplomacy (Deputy Prime Minister Sukhrob Kholmuradov). The total cost of the project will exceed $100 million and will involve leading international companies, such as German R.I.D. GmbH, ASTEM\Stelwert Investments Private Equity Fund (USA and Ukraine), Etnomir (Russia), Royal Orbit Holding Group EEC (United Arab Emirates), Sinefekt Post Produksiyon Hizmetleri A.S. (Turkey), Whiteco Harvest Investments (Cyprus). The City of People's Diplomacy is planned to include 15 cultural centers, alleys of presidents with design landscape works, the streets of the Great Silk Road, a garden of poets with an artificial mountain and a succession of waterfalls, a museum and sports patriotic complex, Vatanparvar Park to raise the patriotic spirit of youth, open-air museum, Lovers' Garden with beautiful, green alleys and fountains, seven cafes and five restaurants, hotels, an open concert hall for 3,000 people, an amphitheater for 5,000 people, an exhibitions and a cinematography center, a museum square with four museums, football, basketball, volleyball fields, tennis courts and other sports facilities. The Ethnical City is planned to include the palace of Amir Timur with an alley, fountains and a garden around the palace, 19 ethno-dwellings, about 20 cafes and restaurants, 20 souvenir shops, a complex of old streets, the main city gates, connecting the City of People's Diplomacy and Ethnical City, hotels (one three-star, one four-star and others), a complex of old Lyabi House streets, Mirzo Ulugbek observatory, two caravanserais (ethnic hotels), a fortification wall, five yurts, three entrance gates, three minarets. The Cinema City is planned to include pavilions for cinematography, a film yard (30 villas, 220 townhouses, apartment houses for 50, 75 and 77 apartments), business center, warehouses, production halls, park area, one four-star hotel, film academy (an institution for training personnel in the film industry), a supermarket, a hostel for staff, football, basketball, volleyball field, tennis courts, other sports facilities, a private pre-school educational institution, private school, private medical center, data processing and storage center, garages for gaming, special and working transport, a mini hippodrome, a coworking center.